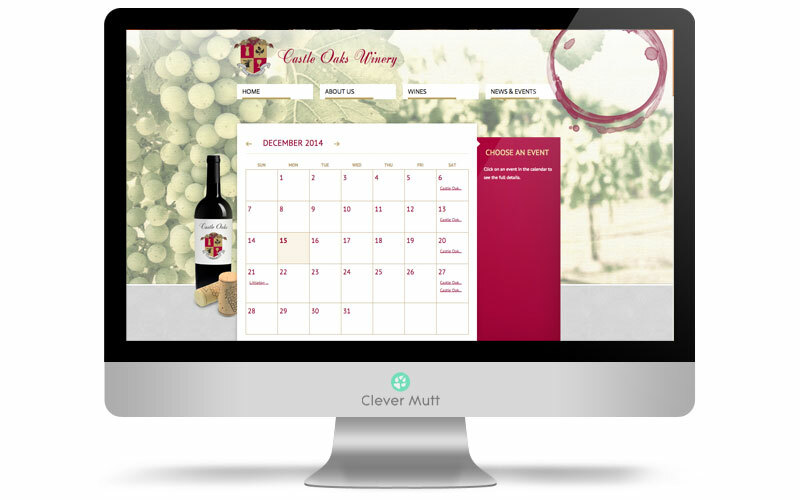 "I did go to the website this morning and saw it there and it looked great! 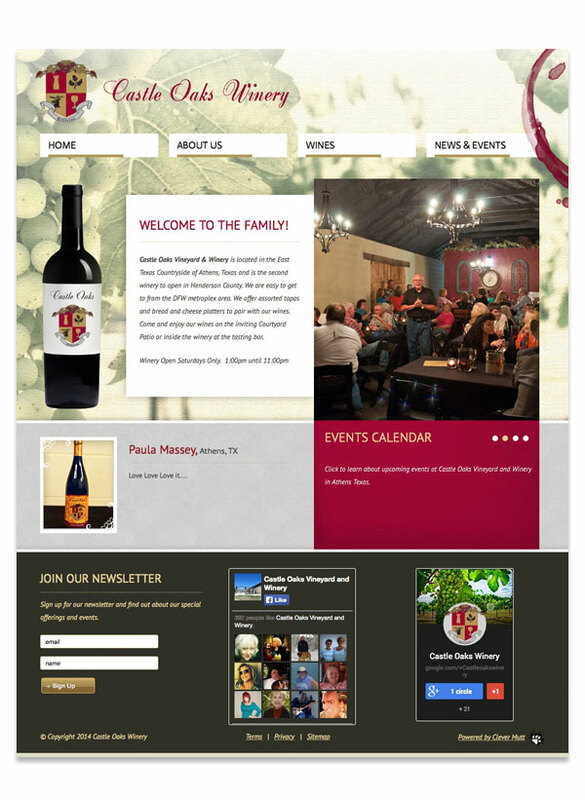 I immediately sent the family an email advising to check it out." 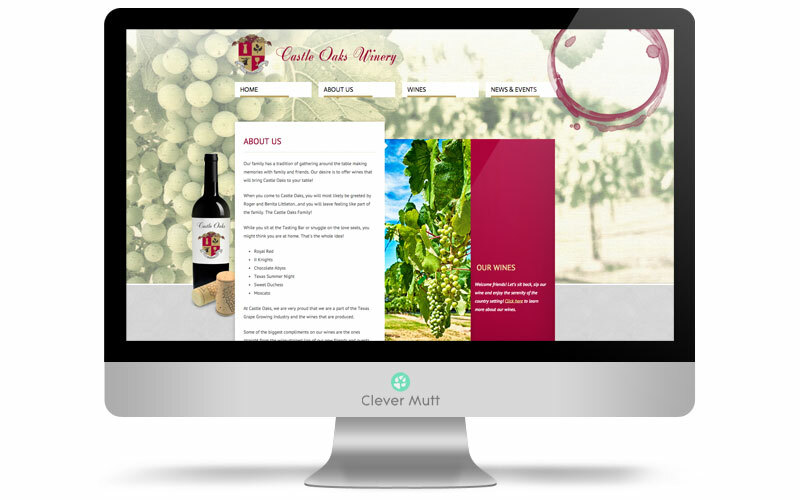 Castle Oaks Vineyard & Winery hired Clever Mutt™ to create their website to coincide with the launch of the business. 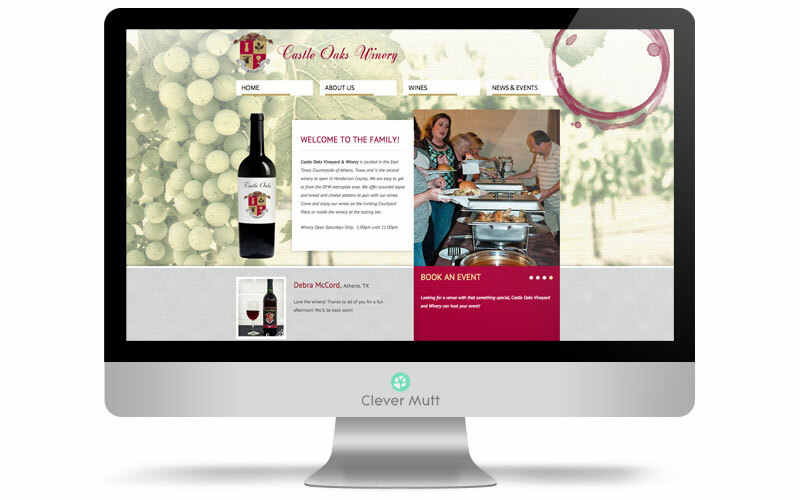 We provided website design powered by the Clever Mutt™ Portal web CMS, on-site commercial photography, Clever Mutt™ Mail email newsletter marketing & also social media marketing training.